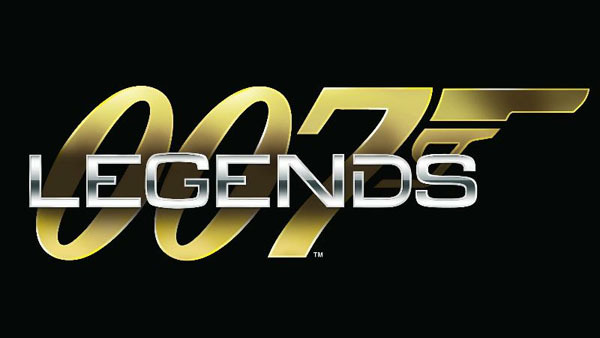 007 Legends Launch Event – Exclusive report. Valued CBn forum member ‘thecasinoroyale’ has kindly given us an exclusive insider into the 007 Legends launch event, you can read it before. I report from the 007 Legends launch by Activision at BAFTA House in London. After a half an hour drinks reception with the likes of Sophie Ellis-Bextor, Keeley Hawes and George Lamb getting their pouts in between the free wine, fruit juice and sparkling water, the room was full of buzzing media vultures from magazines and software firms chatting away as cameras clicked and a medley of Bond themes played through the speakers. It wasn’t long before we were taken into the main auditorium for an opening by the Head of the BAFTA Group on the excitement of having a new Bond game celebrating 50 years of the franchise. Then, amid a few quips Sir Roger Moore himself would approve of, there was a few words by Activision Manager David Oxford. It’s clear a lot of thought about the history of the series in wanting to make a game “from the heart” by people who “live, sleep and eat Bond.” After a screening of the brilliantly definitive ‘Everything Or Nothing’ documentary with THE best gunbarrel sequence in history, it was time for posh food in decorative presentation parcels and to more importantly try the game! Trying a level in ‘Goldfinger’ set at Auric Enterprises, the first thing I felt was the improvement in graphics, detail and fluidity over ‘GoldenEye Reloaded’. It is similar in every way on the whole, don’t get me wrong, but the little touches have made a lot of difference. Also, the look and sound of the game takes you back to the film itself and I felt very immersed in a setting I had grown up watching, so loved playing it. The costumes, character skins and sounds are faithful, and that means a lot for a game based on 50 years of material. You will have to witness the game yourself when it hits shelves in America today, but in the UK on Friday, but I honestly feel while this game will not break the mould, it should warm the hearts of true Bond fans an# casual gamers wanting to be Bond, as I do. This is the nearest and best experience yet! It’s not a genre defining game but it’s a bloody lot of Bond fun! And the best part of the day was getting a goodie bag, complete with a 2 CD “Best Of Bond” soundtrack and a free copy of the game for XBox! Saved myself £37.99 then.